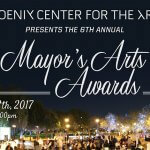 Mayor Greg Stanton will present the first-ever “Mayor’s Arts Awards” at the Phoenix Festival of the Arts this weekend. Stanton launched the awards to highlight the cultural richness of Phoenix and recognize excellence from the visual and performing arts in the community. A panel of distinguished members from the arts and culture areas selected awardees in five categories based upon excellence and community impact. Stanton will present the awards Saturday, Dec. 8 at 1 p.m. on the main stage at the Phoenix Festival of the Arts at Margaret T. Hance Park, 1202 N. 3rd St. in Phoenix. 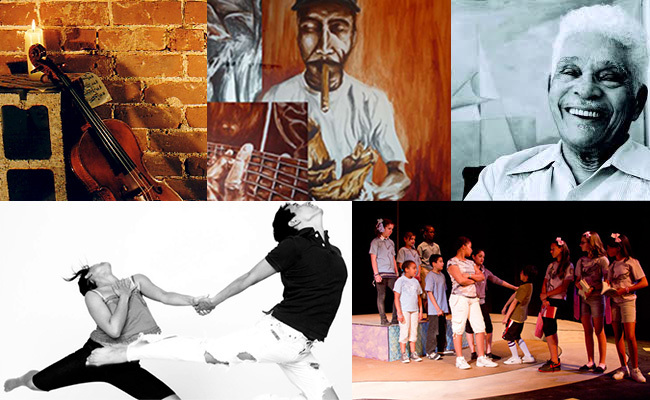 Clockwise from top left: Downtown Chamber Series, Hugo Medina, Eugene Gribsby, Rising Youth Theatre and Scorpius Dance Theatre. Formed in 1999 by choreographer, Lisa Starry, Scorpius Dance Theatre is observing its 11th season in operation. 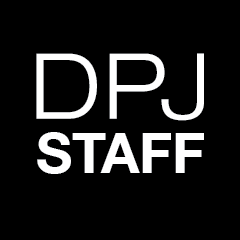 The contemporary dance company has been a constant presence in the metropolitan Phoenix arts community since its inception, combining the motifs of humor, drama and both organic and technical movement to form a very distinct brand of dance theater. The Downtown Chamber Series brings chamber music to distinctive art spaces in downtown Phoenix, showcasing professional musicians and the works of local artists. Born in La Paz, Bolivia, Medina immigrated to New York as a child, where his interest in art was fostered by his architect father. 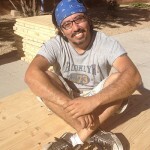 While completing his undergraduate work in New York, Medina volunteered to teach classes at a summer program at the Kumayya Indian reservation in San Diego, Calif. His experience at the reservation is what led him to become an art teacher. Hugo’s desire to give back to the community and his love of children led him to a teaching career. Medina’s great appreciation and admiration of the southwest brought him to Phoenix, where he has been the mastermind behind some of the city’s best murals. Rising Youth Theatre is Phoenix theater company founded by ASU grads Xanthia Walker and Sarah Sullivan to create youth driven theatre that is riveting and relevant, challenging audiences to hear new stories, start conversations and participate in their communities. 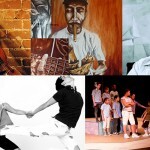 Recently, the diverse company of students has created plays based on immigrant youth. Grigsby, 94, came to Phoenix following World War II to teach art at Carver High School. He joined the faculty at Arizona State University in 1966 and served as a Trustee of Phoenix Art Museum. His public collections are on display at the Metropolitan Museum of Art and the Printmaking Workshop in New York City, the Library of Congress, the Cape Coast Museum in West Africa and Philadelphia’s Brandywine Workshop, as well as art centers and galleries in leading universities and public venues across the nation. 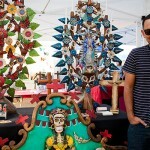 This weekend’s Phoenix Festival of the Arts runs from Dec. 7 to 9 at Hance Park and is the city’s first signature arts festival. 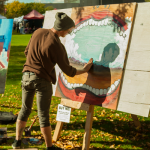 The free event features three days of live entertainment, arts vendors, a hands-on community mural, food trucks, Kidz Korner and more. 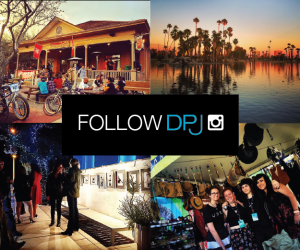 Celebrate artists and arts organizations from across Phoenix’s cultural landscape. 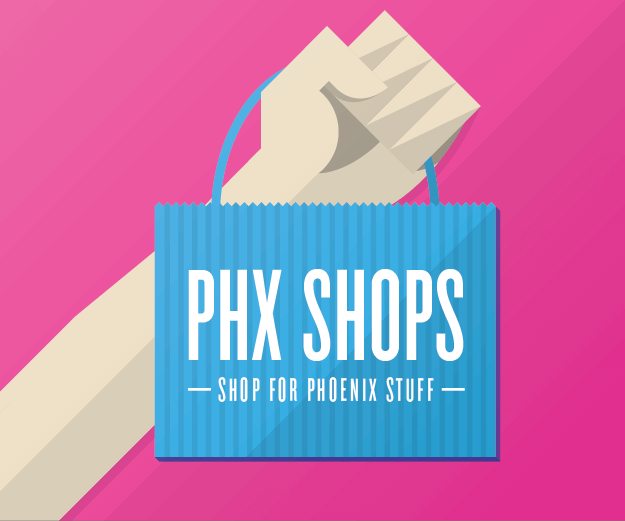 Hosted by Phoenix Center for the Arts and sponsored by Lou and Evelyn Grubb, this free festival will become an annual tradition.